Last October I wrote a blog about feeling halfway: halfway between faith and identity, halfway present in the day to day of my life, halfway full, and afraid to lose the “half as much as I really needed” to which I clung. Of possible experiences that might feed my soul and lighten my heart last year, I didn’t expect it to be my visit the AAR National Conference, but it was. I came home from San Diego feeling excited, capable and cared about, after visiting friends with whom I share passion, meeting new people and listening to scholarship that woke up my brain. A necessary respite, this short trip reminded me that really I like what I do. Scholarship and genuine camaraderie feed my soul and the work that I do. And while I am glad to be holding onto these facts of my life, I find that the question of faith and identity has surfaced again this semester. I am teaching a course entitled Faith and Human Development for the first time. A look at the way that faith and human growth relate to one another, the course is an interdisciplinary exploration of the overlaps between religious studies, psychology and philosophy. I will admit that I was dreading teaching this course. When I asked colleagues what texts they had previously used for this course, two women, separately, said to me, “Of course, [James W.] Fowler, though his work is dated now.” Of course—Fowler! James…Fowler? Yeah—nope. I had not read his book. I had no idea what to do, so I prepared my course using this recommendation and other texts that would complicate and challenge the dated, Euro-androcentric and imperialist content I found in the text (as my colleagues had similarly done). But course content aside, I think what really scared me about teaching the class was the idea that here I was, a person who just last semester told her colleague that she didn’t think she was a person of faith, teaching a course all about faith and human identity. Yikes! What qualifies me to do this? Shouldn’t the women-religious or clergy in my department teach this course instead of me, or, at least those who identify with some tradition? What do I know about faith—unless you want to talk about losing it? Ironically—though if I’d really thought about it I should have expected this—I have found that my own experiences feeling lost, in-between and more despairingly, halfway, have proved my most useful tools for teaching a class about faith. I can give comfort and so build confidence with my students who are also feeling lost or, as is more often the case, those who are afraid of getting lost. Afraid to question because of what it means about their religious identity, afraid to betray commitments that are so often based upon the commitments of and to their families, and sometimes afraid because they are realizing for the first time that they are just starting to know themselves. I share my own courage with my students: a courage based in my hard-earned belief that it is better to question than to lose oneself and one’s voice in the silence unquestioned, that it is better to be lost than to live where ‘you’ don’t really exist, and that it is better to be angry and halfway than live in close relationship to abuse. Writing the proceeding paragraph I asked myself, would it have been more accurate to say “my hard-earned faith that is better?” Would that be a statement of faith? 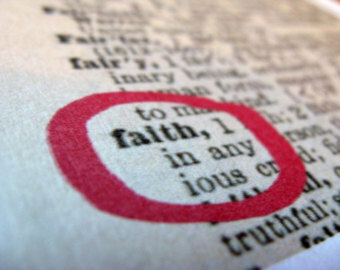 What is faith, and how are we all defining it? Synthesizing the many definitions Fowler proposes in his book Stages of Faith, I interpret his definition of faith as: a relational and enacted quality of human experience that brings ultimate (for him, ideally transcendent) meaning that sustains us in trial, granting us purpose and worth. I find this an interesting question with an interesting and rather alarming connotation. “Pouring my life out,” is certainly how I can describe some of my actions and a way I have felt, particularly when despairing. I am not sure if Fowler meant this question to have the negative implication that I give it or not; but I am sure that the subtext of this question asks us: “and what does your answer suggest about what brings you meaning?” And further, “does this action bring you sustaining meaning?” All I can say to this is that I do not want to “pour my life out,” like water down a drain, for anything. I realize that Fowler is trying to create a normative (sharable and standard) definition for “good enough” faith, similar to the way many psychological theorists propose working definitions of what it means to have “mental health.” So perhaps my reaction was cynical. However, normative theories—even theories of faith—often problematically define the “normal,” based on exclusive standards that benefit and maintain the lifestyles of those with power and privilege. Book cover image, image sourced here, accessed Jan 2015. I am still working on my definition of faith. What teaching this class is teaching me, is that I need to consider the actions that supported meaning-making in my own stories of surviving and thriving as I do this work. James Fowler, Stages of Faith: The Psychology of Human Development and the Quest for Meaning, Harper One: New York, 1981: 3. Fowler: 18. It is important to note here that Fowler talks about trusting an excellent “other,” as it is indicative of his focus on transcendence. Influenced strongly by his Christian world-view and Western philosophical traditions, Fowler privileges transcendent universal meanings, or ‘objective truths,’ that are common—he asserts—to all human beings. This idea of separate truth (or divinity) is highly debated; and not a neutral position. 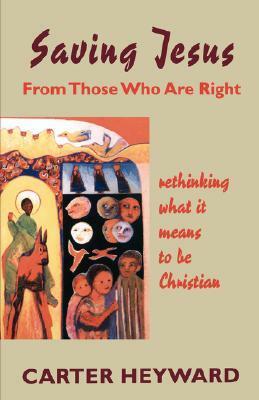 Carter Heyward, Saving Jesus From Those Who Are Right: rethinking what it means to be Christian, Fortress Press: Minneapolis, 1999: 68 (emphasis hers). Great reflections and thanks for pointing out how theological assumptions sneak themselves in to a discussion that is supposedly value free. I myself do not use the word faith anymore, as it implies to me giving up my own power of judgment. I may and do say I experience divinity as a constant in my life and that I have reflected on the meaning of divinity with all my faculties including feeling and thinking and am willing to discuss what I think. I think the idea of faith has something to do with the conundrums associated with an all powerful deity in relation to the very real existence of evil in the world. But if divinity is not all-powerful, then these conundrums fall away and I don’t have to believe against reason or have faith in a power that is contrary to my experience of the world. PS Love your new photo which if I say so myself reflects a very much transformed you! Whatever you are doing, whatever you are thinking, and wherever you are, your radiance and calm suggest to me that you are on the right path for you. Yeah! Thank you Carol. I really appreciate your feedback on both the post and picture! Your discussion here of letting go of the word faith all together is an interesting one– and has given me something to think about (particularly as it is a word I don’t use much, as I mention above). In the class I’m teaching we talk a lot about the differentiation between faith and belief; but despite differences he names, for Fowler this doesn’t let go of a transcendent picture of divinity, as you suggest here. In the Kundalini Tradition in which I was taught, my teachers gave us a ‘one-liner’ for each Age that sums up the difference between the Aquarian Age (the age we’re in now) and the Piscean Age (the age we were just in). “I know” (Aquarian) vs. “I believe” (Piscean) … I mention this here because your statement above, about your awareness of your constant experience divinity, made me think “she knows” — which I appreciate reading. As regards faith and human development, it might be interesting to look at some comparisons between faith traditions and meditative practice. For instance, all you need do to practice Zen is mindfully wash your teacup — there’s nothing to believe in, only something to experience. In the worship of Demeter in the ancient Greek Eleusinian Mysteries, the chief priestess brought worshippers into the present, when she suddenly held high a sheaf of grain, apparently an awesome moment. Demeter herself, within the context of her myth, demands that she “see” her daughter, Persephone, directly, with her own eyes [L-331-333], and thereby refuses any revelations of her teachings as a faith tradition. I agree that a comparative view here would be and is very worth while. I also really appreciate your emphasis here on direct experience, and how that may be different than faith. You create lovely images here– of the tea cup (I have read this before in some small study of Zen) and, particularly striking to me, of Demeter coming in carrying the grain. To break up some of the Androcentric view of this topic in my class, I used some Carol Gilligan, from her book “In a Different Voice.” At the end of her first chapter she suggests we use Demeter and Persephone’s story to think differently about women’s development as well. Thank you for your reply Sarah! I liked how you share your vulnerability here, in this post, as well as with your students … and I can imagine they appreciate it as well. I am far more receptive to someone sharing their own journey than someone who simply dictates what is or is not “true.” Wish I could be in your class! I feel that my greatest education in this area (since I am not an academic), of what you describe as “A look at the way that faith and human growth relate to one another, the course is an interdisciplinary exploration of the overlaps between religious studies, psychology and philosophy,” has been through listening to the many audio broadcasts by Krista Tippett of “OnBeing” (onbeing.org – formerly “Speaking of Faith”). Thank you for your response and for the resource– I will check out the audio broadcasts! And thank you for the vote of confidence as well! During my times of deepest spiritual turmoil, I have always found the writings of Paul Tillich to be comforting. His definition of faith: “Faith is the state of being ultimately concerned: the dynamics of faith are the dynamics of man’s ultimate concern.”: from “Dynamics of Faith”. Thank you for the suggestion. I actually have not read Tillich– only other people who have read his work. Great post, Sara. And so important for all of us here to be thinking about. What gives our lives meaning? Can there be a more important question for a self-reflexive species? Like Carol, I don’t use the word faith, because my mystical and worldly experiences are the backbone of my spirituality, of my religion. With the exception of the last word, I like Fowler’s definition of faith (or is it yours): “a relational and enacted quality of human experience that brings ultimate meaning that sustains us in trial, granting us purpose and worth.” As a Unitarian Universalist, I affirm the “inherent worth and dignity of every individual.” So for me worth is a given. But otherwise, “relationship” is the foundation of my religion, and it is also “enacted” in service and in ritual. I find some of the other Fowler quotes you shared tainted by marketplace metaphors that imply exchanges or valuations (like of stocks, etc.) My experience doesn’t lead me to “invest (what a financial way of putting it) or devote myself” to anything or anyone…”because it promises to confer value on me.” The value (has our stock gone up or down? ), in my opinion, is created by the relationship itself. The problem, it seems, with religions based on faith is that your faith can be strong or weak, orin this case, “good enough.” When a religion is founded on one’s experience, as mine is, that question never arises. P.S. I love your new “do.” It seems to announce a new you! I appreciate your and Carol’s response that religion or spirituality doesn’t have to have this element, but can be based in something else. I’ve learned much “theology” from Peanuts! This is one of my favourite cartoons! Thanks for your insights here. (I too love the Peanuts too, and this cartoon in particular). I agree– I think people often do equate faith to “believing the right thing” — which I cannot agree with. I appreciate your fluid approach here!